Rae Ann Dougherty has been involved with Girl Scouts for more than 55 years — as a program participant, volunteer, supporter, board member, and now Board Chair for Girl Scouts of Colorado. For her and many others like her, being a Girl Scout is a lifelong commitment. Dougherty and her husband are both passionate about Girl Scouts and its impact on millions of girls of all ages across the world. They especially recognize the value in encouraging participants to “Look wider, look wider still” (a well-known quote by Lord Robert Baden-Powell, founder of Boy Scouts and Girl Guides worldwide movement) and broaden the world around them through travel and connections with other Girl Scouts around the globe. A few years ago, the Doughertys established an endowment fund to provide Girl Scouts with the opportunity to experience that international sisterhood firsthand through travel. 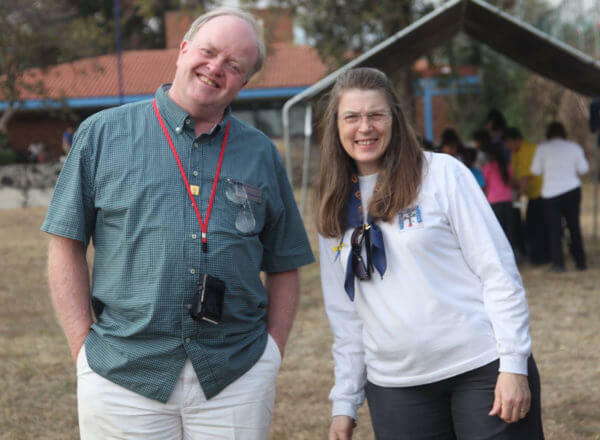 The Rae Ann and Richard Dougherty Look Wider International Travel Fund Endowment enables Girl Scouts of Colorado to award travel scholarships to girls every year. “When you meet someone whose foundation, values and fundamentals are the same — all Girl Scouts, no matter where they are in the world, follow the same promise and law — you connect very quickly and deeply. The power of that is phenomenal,” says Dougherty. The Doughertys worked with Girl Scouts of Colorado to establish the first endowment fund for the nonprofit and it is specifically designated for international travel opportunities. The Look Wider Fund is one of seventeen Girl Scout funds housed at Rose Community Foundation and Vicki Dansky, Senior Gift Planning Officer, has been helping guide the Doughertys along their philanthropic journey. The Doughertys hope others will be compelled by their vision to add to the Look Wider Fund. “Without question, the Doughertys’ thoughtfulness will be a long lasting legacy, as they are also including this fund in their wills to provide this exceptional experience to Girl Scouts for generations to come,” explains Dansky. An endowment is a powerful tool to build your organization’s operating strength.